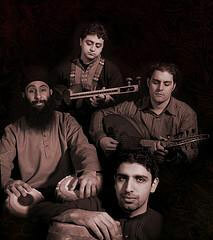 Sangha is a Tar, Oud, Tombak and Tabla Quartet . Like its instrumentation suggests Sangha is a combination of a number of improvisational traditions, predominantly Arabic, Persian and Indian. With traditions this varied a mixture of styles is inevitable, so the musicians focus on creating music in the moment. This allows the varied influences to naturally blend together without being forced or diluted. Noteable Entertainment & Events is a Vancouver based booking agency, party rental, entertainment services and event production company. If you are interested in booking Sangha please contact us.